Discover our Christmas Selection, Ideas for gifts to spoil you close one, but also for your pleasure! All the products on this list have been specially chosen with care to meet your needs, profile and of course budget. You will find here, for example, Electronic Cigarettes for beginners, perfect to stop smoking, easily. You will equally find the new advanced E Cigs, dedicated to experinced and demanding vapers, always searching for new sensations. Finally, we have selectioned for you the best E Liquid Packs, perfect for discovering many different types of e liquids and flavours. Classic, Menthol, Fruity or Gourmet, we have something for everyone. Offer an Electronic Cigarette for Christmas! Are on stuck on ideas for Christmas? Do not panic, we have all you need. 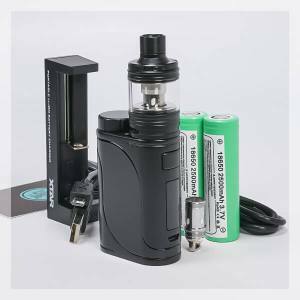 By offering an Electronic Cigarette for Christmas, you will be giving a very useful and agreeable gift by encouraging your close ones to give up smoking, all by pleasing them. 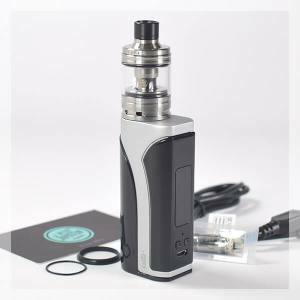 On the Le Petit Vapoteur Website, you will find different models adapted to all profiles for vaping. Are you looking for a discreet and performant Electronic Cigarette? Discover the KoddoPod. 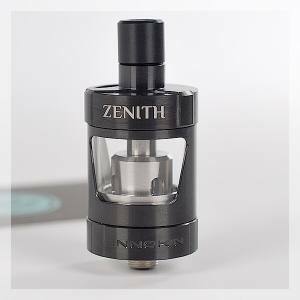 Do you have a small budget, you can offer an Electronic Cigarette which is not expensive. Discover the Exceed Kit. You will discover, even if it is demanding, we have all you need to be satisfied. Why an Electronic Cigarette is an ideal Christmas Present in 2017? The Electronic Cigarette is free from combustion unlike the normal Cigarette which is toxic smoke and can be Cancerogenic. The Electronic Cigarette is alot more less dangerous towards health (The Ministry of British Health have recently published a study showing it is 95% less harmful than smoking). By offering an Electronic Cigarette at Christmas, you will allow your close ones to preserve there health, all by pleasing them with this efficient and ergonomic product.